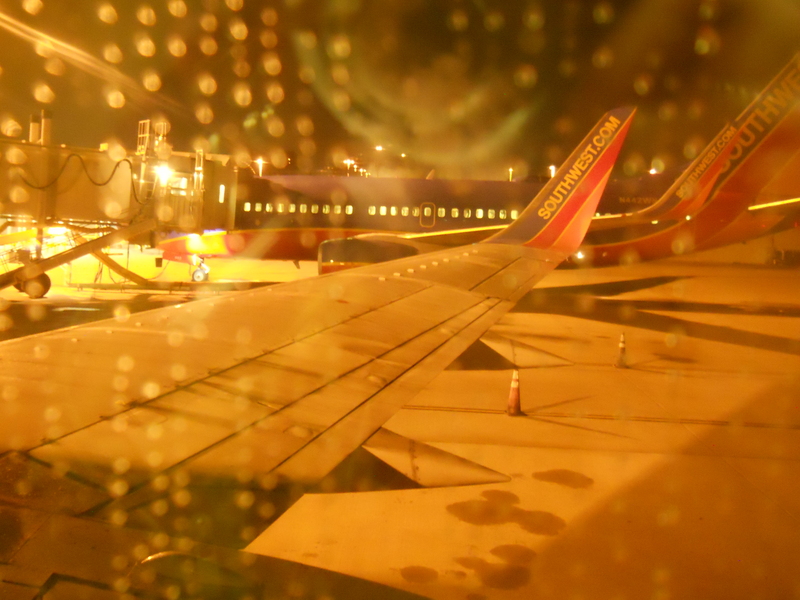 At long last… the final part of my trip in December! If you haven’t read them yet, you can read part 1 here and part 2 here. The next morning we wandered down to the Fountain Coffee Room for breakfast. 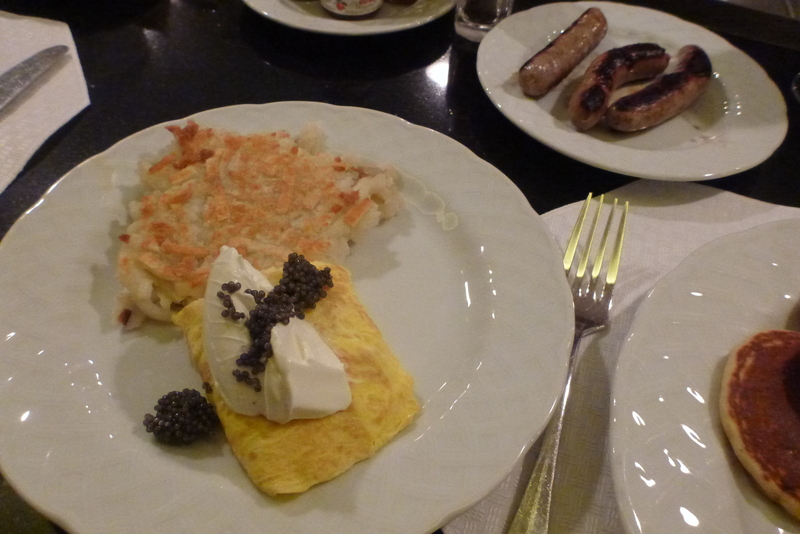 It might not be the meal of the day you’d think about caviar for, but when offered we couldn’t turn it down. Why not? We were in Beverly Hills! It was a must to test out. Alas… far too salty and I think Tameri was probably right when she suggested that caviar probably does not get better tasting as it goes up in price. If you haven’t read the first part of this trip, you can read it here. Part of the excitement of our tickets for the VAMPS show was that after more than an hour of trying for them on release day, I scored us two VIP tickets. The VIP bonus for the Los Angeles show was a meet ‘n greet. Everything on the House of Blues website had mentioned this would be after the show. I am so happy I called the HoB before we had lunch to find out more information however, because it had been moved to an hour BEFORE the doors opened for the show. Apparently some people did actually miss the pre-show event and I felt bad for them. HoB did a poor job with that one. I suppose it is about time I get around to posting the long-promised account of my epic December adventure. . .
Picture-heavy post ahead, but hopefully you will enjoy! I’ve split this into 3 parts because this is simply too long for a single post. Let me preface this with saying sleep is a good thing. Sleep is a great thing even. And 30 minutes of it the night before a big trip is… probably a poor idea. Then again sometimes I make really dumb decisions. By the time I was getting on the plane to leave Tulsa at nearly 6 AM I had only had 30 minutes of sleep since roughly 7 AM the previous day. I am a planner. I like having a plan. My brain loves lists and schedules and goals and plans. But every time I see a plane rising into the sky, a part of me soars with it. I wonder who’s on board. I wonder where they are going. I wonder if they realize the adventure at hand, simply by traveling to a new place. While I have a spontaneous heart, my brain allows for little that doesn’t come with a plan that has been gone over dozens of times (and often considering a rash of horrific and unlikely possibilities). And yet… I watch the planes. There has been one time in my life that spontaneity won. It forever changed me. In December 2013 I did something that is all too easy to say and very difficult to do: “drop everything and run”. There was some basic planning involved, but only the bare bones needed. Instead of trying to fit a getaway into my life, I made my life rearrange itself to allow for me to get away. Now, two years later, I am planning for a trip that actually requires a great deal of planning, but will hopefully allow for plenty of spontaneity in the moment. And while I’m looking ahead to that trip, I’m remembering this one. It’s why I watch the planes. Over the next week I’ll be reposting my account of that spontaneous adventure. It was originally published on my previous blog nearly two years ago, but with it so firmly on my thoughts now I wanted to share here, on this blog, with new and old readers alike.